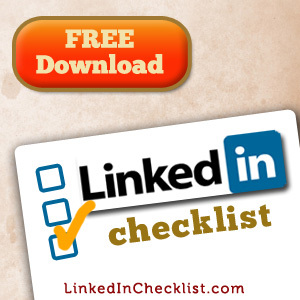 Are you using LinkedIn to connect with new leads and clients? Do you want to learn about social selling tactics on LinkedIn? Social selling is the use of social media to discover and connect with new leads and new clients. In this article, you’ll discover a 6-step process to find new leads and attract new clients on LinkedIn. Most of social selling requires an active outreach process. But you can draw prospective clients to you when you optimize your profile with keywords a potential new client might use when seeking out someone with the products or services that you provide. Add strong keywords to the Title and Summary sections of your profile to ensure you show up in search results. Remember that you’ll only show up in search results for people in your network. This includes first-, second- and third-level connections, and people who are members of groups you belong to. For this reason it’s beneficial to have a larger LinkedIn network rather than keeping it limited to close personal connections. The more connections you have, the more searches you will show up in. That said, try not to treat LinkedIn as a popularity contest, since you’re limited to 3000 connection invites. Next you’ll want to remember to network and build business relationships with peers in your industry. Find professionals who share a target market similar to yours, but don’t offer the service you provide. Once you connect with them, consider fostering a reciprocal relationship to generate referrals for each of you. Before connecting with a prospect, ask yourself "What do I have to offer her?" The third-party credibility you receive will dramatically shorten the sales cycle with prospective clients. Now you can focus on finding the prospects you want for your business. First, join a few LinkedIn groups to network with a wider audience. Second, use the excellent functionality of Advanced Search to find prospects. You can filter by relationship, groups, location and industry, and the Save Search function even allows you to store effective criteria. Search by relationship, groups, location and industry. 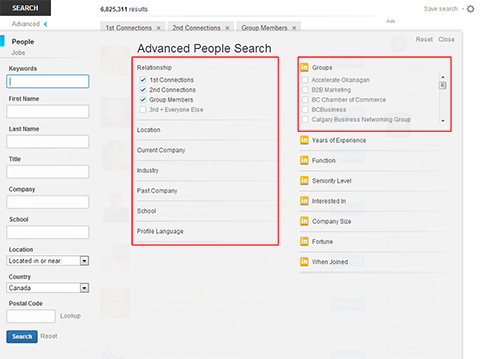 Use the Tags feature in LinkedIn Contacts to sort your results and save profiles of prospects to the Profile Organizer without being connected to them. After you identify someone you want to connect with, you’ll want to carefully tailor your communication. A great first impression with your prospects on LinkedIn should leave them with an interest in your service and a willingness to continue communication. Approach your prospects with a connection request naturally. Always start by greeting them by name. Be clear and concise in your body paragraph. Give them a reason to click “Accept“. Personalize your connection request and tell them why you want to connect. Personalize your connection request to avoid being flagged as spam. If you’re flagged too often, you’ll be required to add an email address to each connection request you send. You can also contact your prospects through InMail, which can be purchased by unpaid members. These messages have a very high open and response rate and if the prospect doesn’t respond in seven days, the InMail will be credited back to your account. 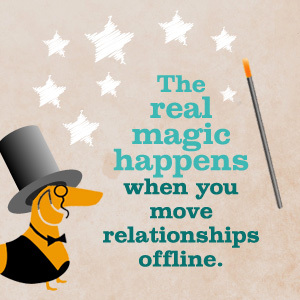 Once your connection request is accepted, develop the relationship through sustained communication. Do you want to build buyer confidence and credibility? Offer your prospect something of value in the form of a helpful article, eBook or other free download. 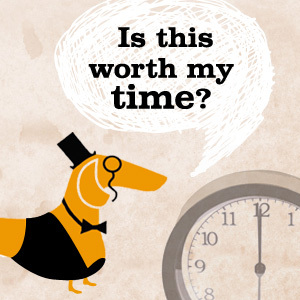 Whatever it is, ensure that it is of clear value so it isn’t dismissed as spam or self-serving. Offer your prospects value with a free download. Depending on your social selling strategy, you can send a follow-up message over the next several weeks. 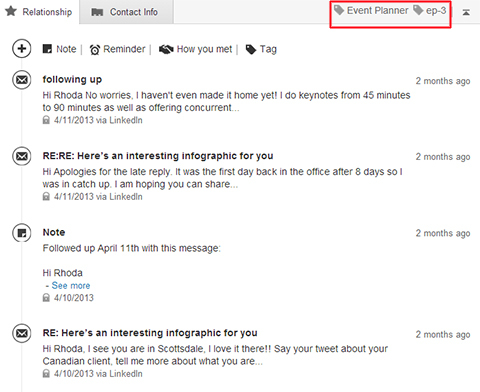 Set up reminders using the LinkedIn Contacts feature. Remember the content of these messages can vary, but you shouldn’t include sales materials. 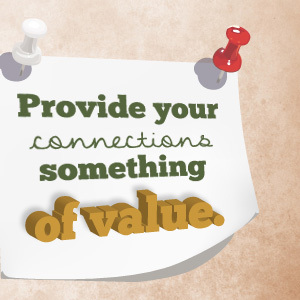 Build your relationships with prospects by offering them something of value. Do you need to organize this process? The Tags, Notes and Reminder features inside LinkedIn can help you. Create a series of tags denoting stages (Lead-1, Lead-2 and Lead-3) to advance prospects as you continue through the process. Store useful information about your contacts in the Notes feature and use the Reminder feature to let you know when your contact should be emailed next so they aren’t overlooked. Keep track of where you are in the social selling process using the Tags, Notes and Reminder features on the profile page. You’ll also want to stay up to date on what your contacts are doing on LinkedIn. The Your Day feature highlights the birthdays, business anniversaries and job changes of all of your contacts. Develop your new and existing relationships on LinkedIn by acknowledging special occasions for prospects using the Your Day feature. Use this information to further your relationships with a comment directly from the Your Day feature or with a personal message. Eventually, you want to move the contacts you’ve identified as prospects further into a business relationship by moving off the LinkedIn platform into an offline conversation via phone or in person. Social selling starts online but moves offline to further the relationship. Everyone online has a problem that they are looking to solve and if you can tap into that and provide a solution, you’ll convert sales from LinkedIn. Group unresponsive prospects under a tag for dormant contacts. You can continue to reach out to these prospects through the Your Day feature and by actively contributing to common groups they are members of. 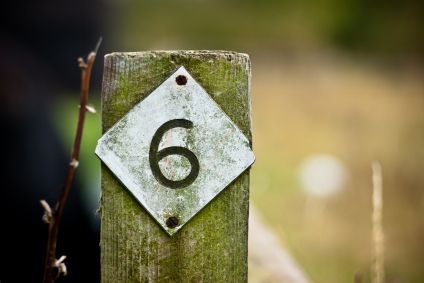 Follow these 6 steps to discover and connect with new leads and new clients. Integrated into your business strategy, you’re sure to transform your connections into business relationships. Social selling produces better results than cold calling and allows you to easily reach the decision-makers. To be successful, strive to offer value and build credibility. After all, that’s what we look for when we do business with people, isn’t it? What do you think? 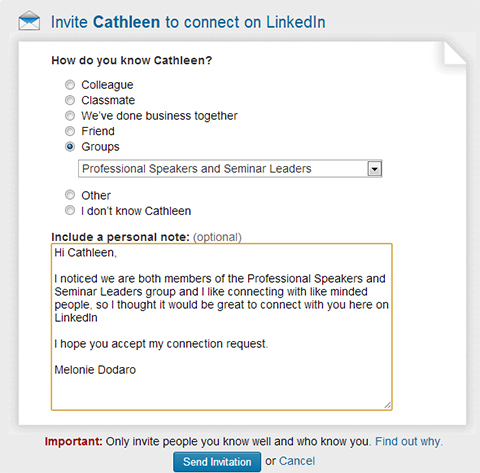 Are you using LinkedIn for social selling? What successes have you had? Leave your questions and comments in the box below.